Rio Gozo Farm provides high quality organic produce to restaurants within the Ventura watershed. We grow herbs, flowers, and vegetables on our scenic eight-acre farm located at the beautiful campus of Besant Hill School in Ojai. Browse our website for more information using the links below, and you can keep in touch with us on Instagram. 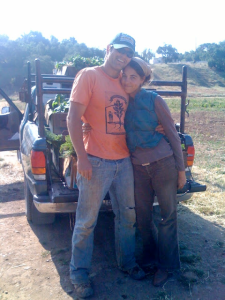 Meet the farmers and learn about Rio Gozo Farm.